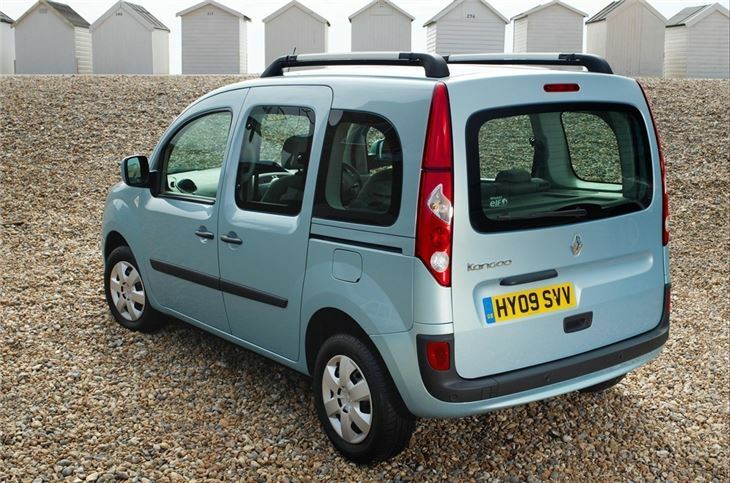 Really roomy, with clever, quick, flat folding rear seats that leave a low load floor. Cruise control with speed limiter. 6-speed box. Harder ride than Berlingo and Partner. UK sales of Kango combi ended January 2012. 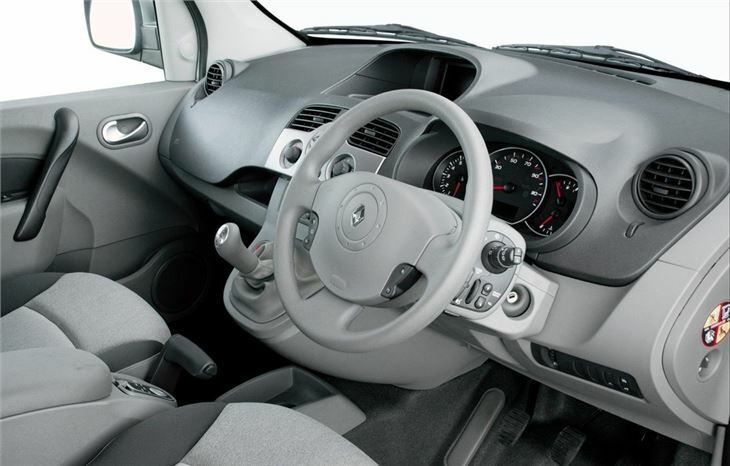 Gearbox problems reported with 2011 Renault Kangoo. 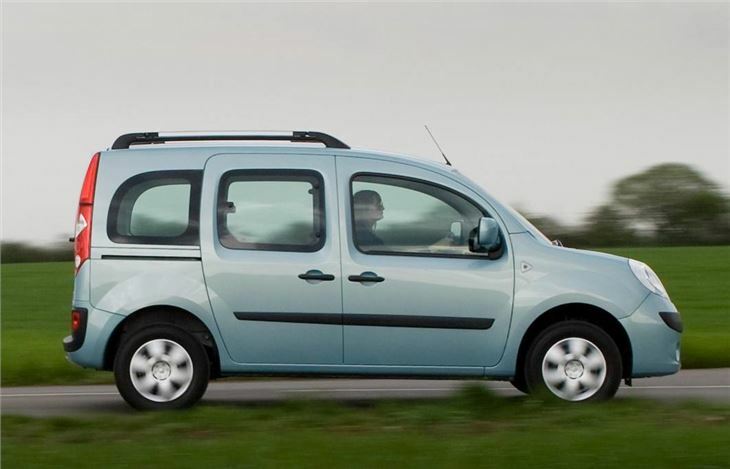 The standard length competes directly against the Citroen Berlingo and Peugeot Partner, offering one thing they currently don’t: a four speed, torque converter automatic. 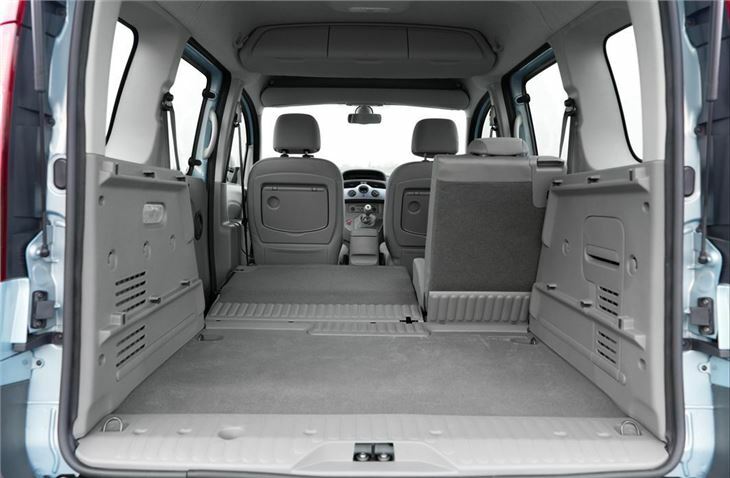 And, if specified with rear seats (either as a panel van for VAT purposes, or as a windowed MPV), these have a simple cantilever that enables them to be folded very quickly and easily. 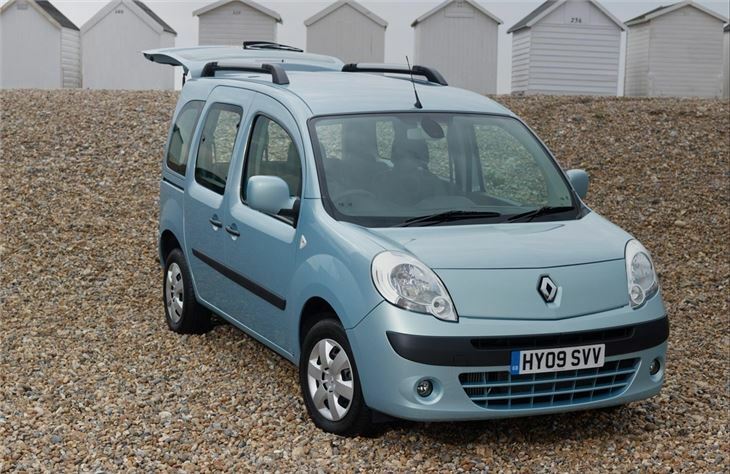 Another advantage over the Berlingo and Partner is that instead of adding the extra length behind the back wheels, Renault adds it to the wheelbase, which makes the Kangoo Maxi both better looking and more stable. 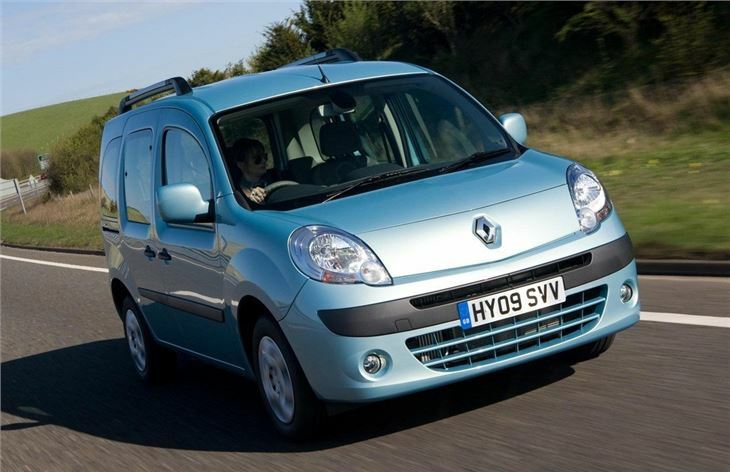 The main engine options for all three are Renault’s well used, belt cam 1.5dCi with outputs of 85PS or 105PS and torque of 200Nm at 1,900rpm or 240Nm at 2,000rpm. EU5 versions with diesel particulate filters and outputs of 90PS and 110PS will be available by the end of 2010. The version I took out was a windowed Maxi ‘combi’ with 66/33 split folding rear seats. This would be special order in the UK, but you can get a VAT friendly van version with rear seats and a very clever moveable rear load guard that shifts to protect either all five passengers or just the driver and front passenger. 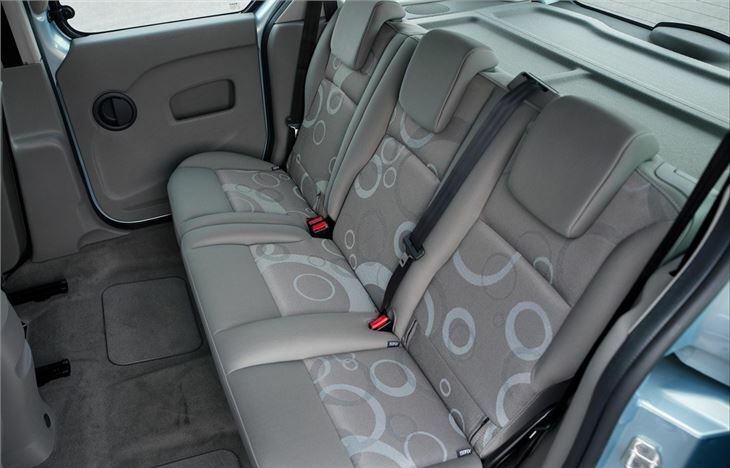 Maximum load length at floor level is 2,210mm to the backs of the two front seats, or 1,328mm to the backs of the rear seats. The two seater version can be ordered with an optional folding passenger seat enabling extremely long loads up to 2,886mm (9 feet) such as ladders and kayaks to be accommodated inside.